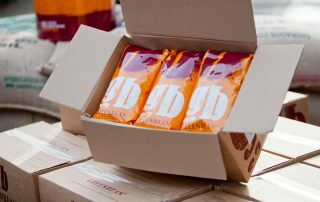 Enormous care and attention goes into transforming the raw green beans into the wonderful coffee we supply but it’s a fundamental fact that if the beans aren’t excellent to begin with, neither will the coffee be excellent. This is why Greenbean Coffee Roasters is the choosiest buyer in the market. 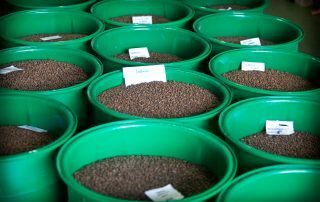 This is why we seek out the world’s best growers, this is why we roast and taste a sample of every batch of coffee we buy. This is why we never let our standards slip. Finding the best beans isn’t always easy. 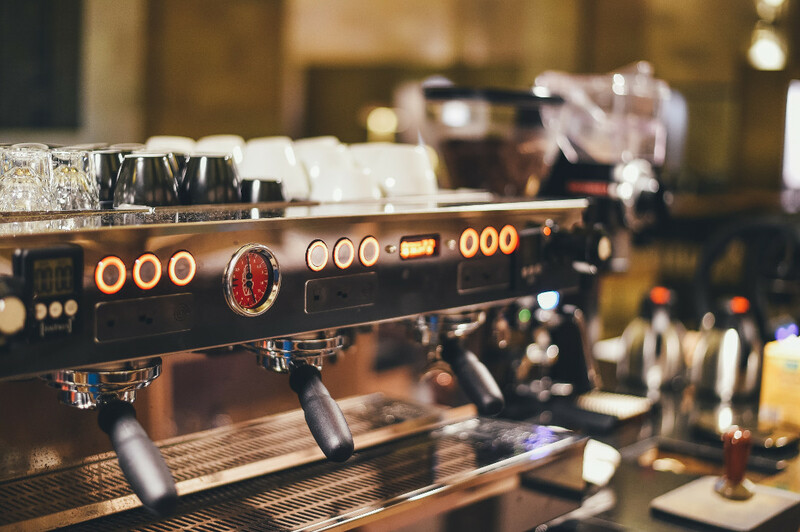 The quality of the coffee beans from every region, every country and every estate varies from year to year, depending on a range of factors too numerous to list. We’ve been in this business for 30 years so we know the producers and we know the importers. We buy the season’s best Arabica coffee beans each year and because we’re a relatively small roaster, we can afford to turn down everything but the very best. 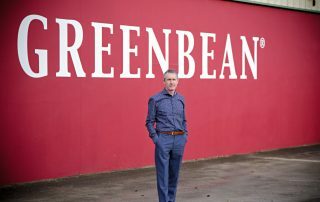 When the green beans are shipped home to our roastery, we go about the business of transforming the year’s best beans into the exquisite blends that bear the Greenbean name. We always roast first, then blend. We ALWAYS roast each bean variety separately before we blend them. Different beans roast to perfection at different temperatures and over different time periods. Nearly every other coffee roaster blends the beans first and then roast all the beans together. Our way takes more time, attention and expertise, but it’s worth the effort. 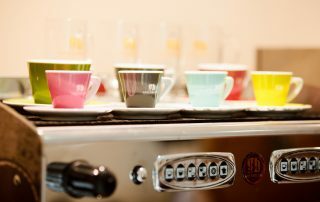 You only have to try one cup of our coffee to find out why. It takes more time, more effort but if you really love coffee; it’s worth doing. The taste tells. Every coffee bean roasts differently. There is no manual, no way of telling exactly when a batch of beans has reached perfection, when it’s bursting with taste and in perfect condition to yield its flavour into your cup. The only way you can tell for sure is to use your experience and your nose, eyes and ears to gauge the aroma, the colour and the sound of the beans roasting. Tell Me More About Greenbean Coffee!